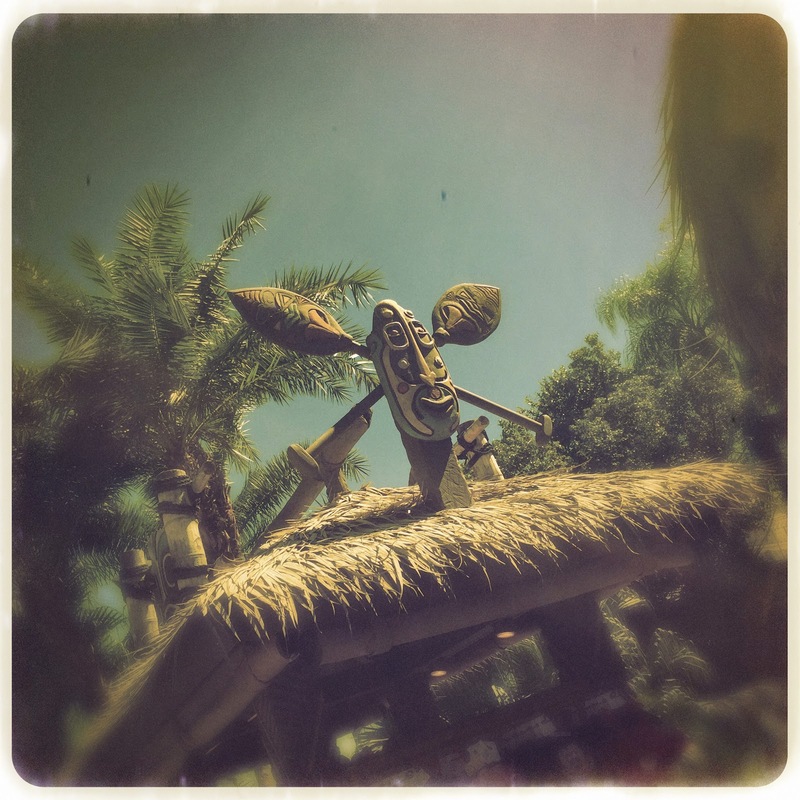 Bwana Bobs is located just beyond the Adventureland bridge, and fits in perfectly with the surroundings. 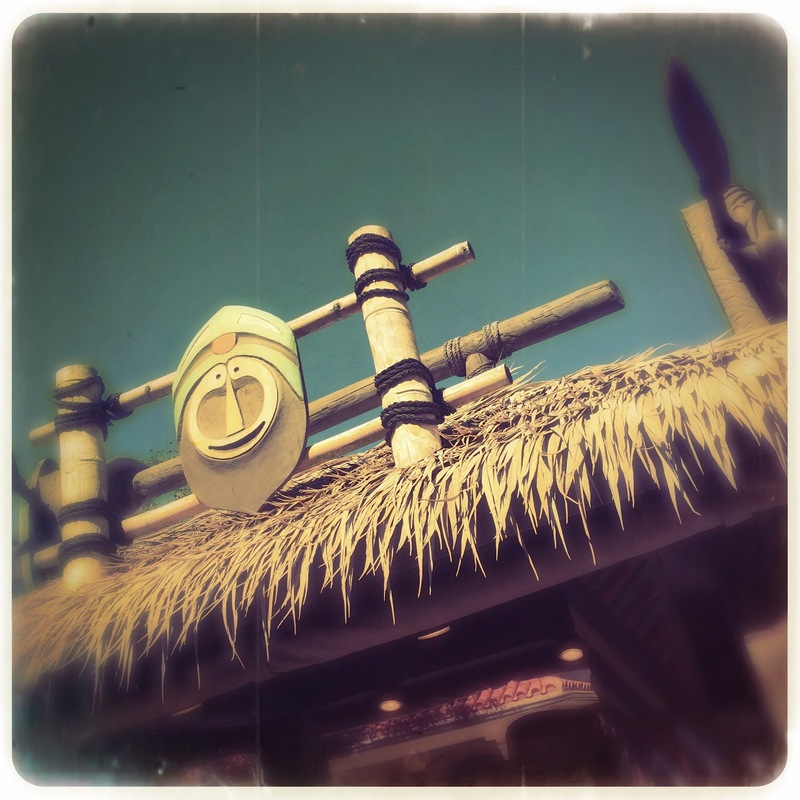 Those classic adventure theming tropes are found here...thatched roof, canvas, bad fake masks, and bamboo tied with rope. This is textbook Adventureland. As I mentioned, I am not a patron of Bobs. 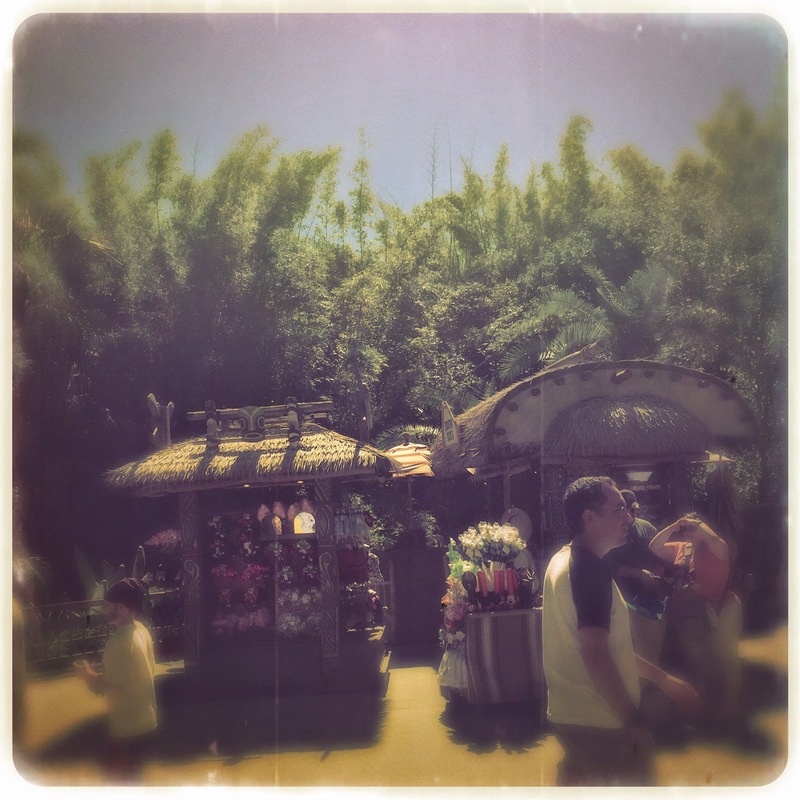 Where the theming is seriously on point, the wares are much to be desired. 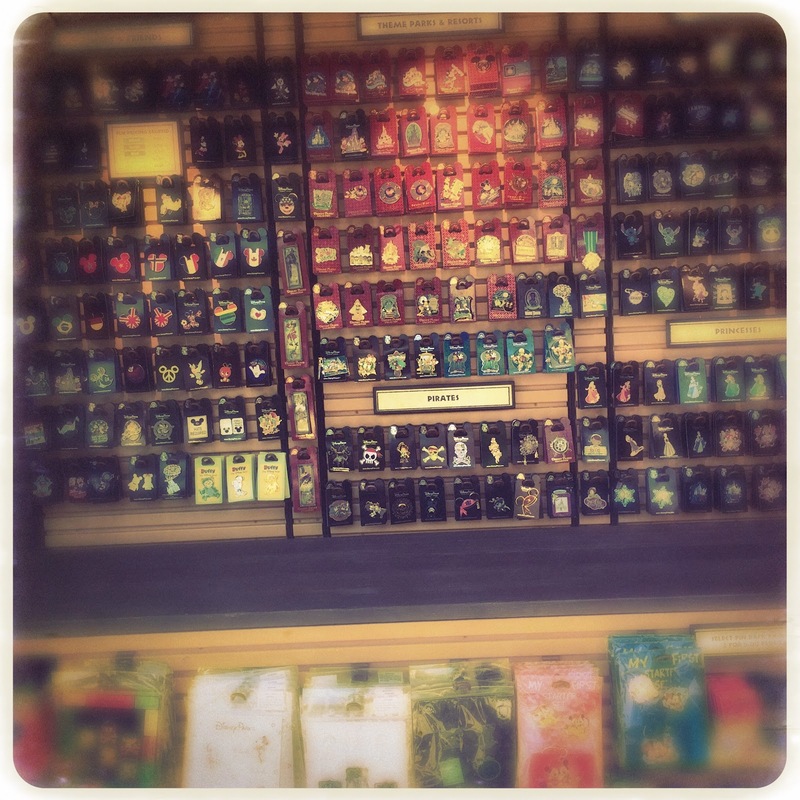 There is an entire wall devoted to pins, plenty of sunglasses and other tourist needs. 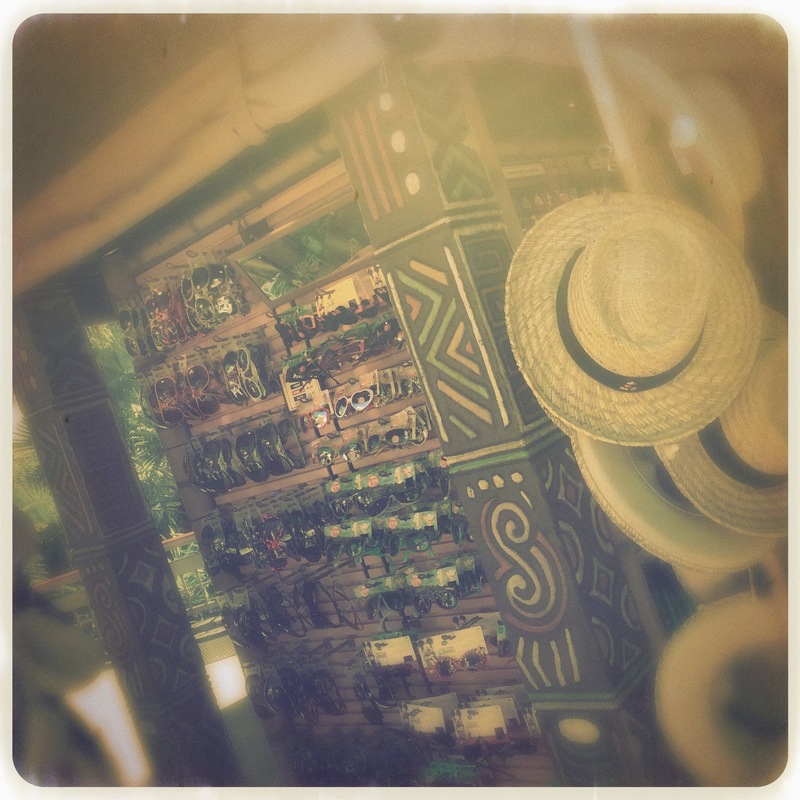 The souvenirs are completely unrelated to the land they're found in...the exception being a vaguely "explorer-y" hat. You can also get water and bottled drinks here. It's a shame that such a charming kiosk doesn't have any themed merchandise. The designers hard work really isn't rewarded by throwing generic touristy garbage on the shelves. Regardless, I do love having Bwana Bobs here to welcome me into the warm embrace of Adventureland, though there is nothing for me to buy. 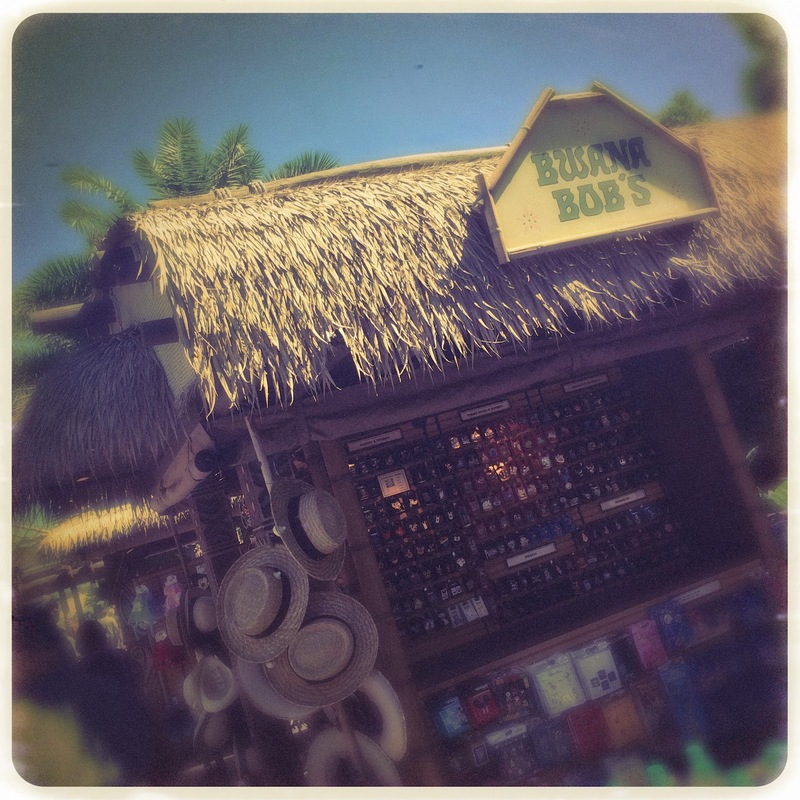 Have YOU ever bought anything at Bwana Bobs? Do you love the theming, or is it just meh to you? Let us know over on Twitter or Facebook! And don't forget to follow us over on Instagram!